Now, we all know that perfect book to movie adaptations don't exist (13 y/o me learned that the hard way w/ divergent 😔) Every movie adaptation will have its flaws and yeah I know... perfection is this "distorted idea" society created etc, etc. The topics I list below are just certain things I look for in a book to movie adaptation. Cool? Cool. But Anna, what ARE the basics of a film structure? I'm so glad you asked! The four basics I'm aware of are narrative (plot, setting, characters), aesthetic (wardrobe, lighting, color schemes), technological (cinematography, camera angles, sound), and social history (religion, politics, cultural trends). The economic factor of a movie is also a "basic" but it's not something I think of *before* my viewing experience (usually after the movie because I Google Everything). Wow, thE FILM STUDENT IN ME JUMPED OUT. I'm sorry but I'm obsessed with this stuff ok. Anyway, I'm not really that picky about the structure !! except it's gotta be somewhat decent and... you know... make sense. Oh and the movie must look pretty because that aesthetic factor doesn't seem important but, oh honey, IT IS. The ✨newer✨ book to movie adaptations have killed this film structure, but I gotta give props to A Monster Calls. The narrative is very STRONG and aesthetics are so there (two words: british countryside). Sorta weak in the social history factor but this movie takes gold in the technological factor. So yeah, adaptations usually do fine in this category but some just... don't *coughs paper towns the maximum ride the 5th wave coughs*. What can I say? Hollywood LOVES their angsty teen white boys and heterosexual love stories. This is probably just a "me thing" but if a book/movie/tv show/WHATEVER isn't gay, I quickly lose interest in the, uh, book/movie/tv show/WHATEVER. I'm only sorta kidding. Thankfully, young adult books are starring/including more amazing POC and LGBTQ+ characters. Book to movie adaptations, however, are slowly understanding the fact that POC and LGBTQ+ characters exist. 🙄 At least they're doing better than blockbuster films. And honestly, indie films are the backbone of diverse representation in the film community... no printer just fax. IN SHORT: there's a 101% chance I won't see a book to movie adaptation if the adaptation doesn't have a POC/LGBTQ+ main character. 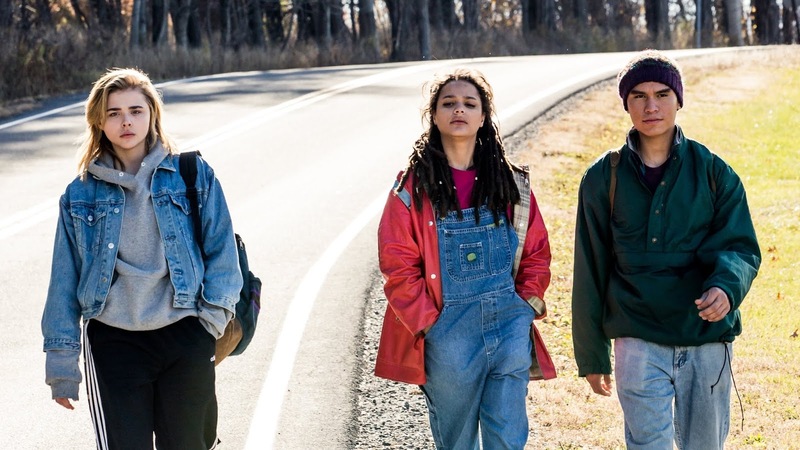 One of the best examples of a diverse adaptation is The Miseducation of Cameron Post. The movie is about Cameron Post, who is sent away to a gay conversion camp after kissing the prom queen. The movie is about her journey before and after the camp. Sadly, I didn't see this movie in theaters (@ desiree akhaven I'M SO SORRY BUT I'M BROKE AND I CAN'T DRIVE) but I'm definitely buying the DVD !!! From my knowledge, Jane and Adam (friends of cameron) are well-rounded POC and LGBTQ+ characters. And the film director herself, Desiree Akhavan, is a POC and bisexual. We NEED to support more movies like this !!!!! When I first started watching book to movie adaptations, having a killer soundtrack wasn't important. All I wanted was an adaptation that *actually* followed the book (@ younger me pls lower your expectations). But now I'm older and I always have Spotfiy playing everywhere I go. I think soundtracks really depend on the adaptation. If an adaptation is a dystopian then I want more plot and action, but if the adaptation is "coming-of-age" then I want more music and character development. Does that make sense? I feel like I'm rambling now haha. I also think a soundtrack should match the timeline of the adaptation. Like, if the adaptation is set in 80s, I don't wanna hear Katy Perry in background?? Why. Usually book to movie adaptation soundtracks will SOLELY have popular pop songs because apparently teens only like popular pop songs. Who knew!? 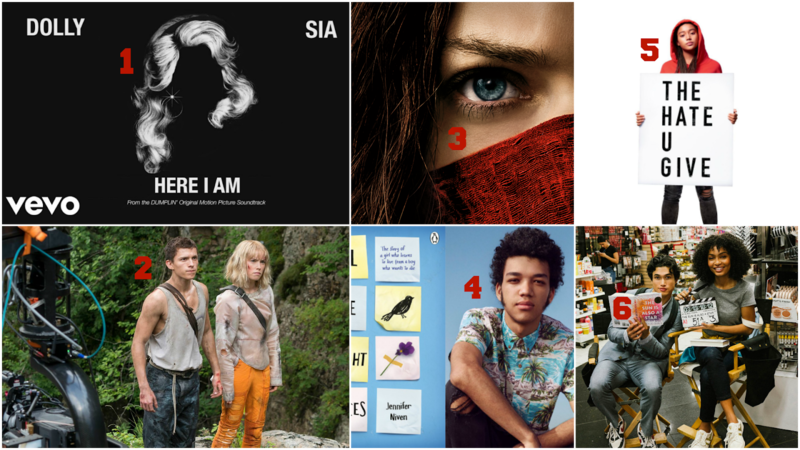 😱😲😩 Anyway, the soundtrack for Love, Simon sorta strays away from popular pop songs and includes some alternative/80s hits. The soundtrack actually came out before the movie so I was practically blasting the soundtrack days before the movie, which got me more excited for the movie !!!!! The Love, Simon soundtrack is definitely one of my favorite soundtracks because it strays away from the norm and there's like 5 original Bleacher/Jack Antonoff songs on it ugh my heart. Now, I could list a bunch of flawed adaptations but let's stay postive. To All the Boys I've Loved Before is a great example of a dedicated movie adaptation. The movie followed the book plot really well and they didn't white-wash Lara Jean (can u believe they ALMOST did like My God No). For this adaptation in particular, I feel like it really captured Lara Jean and her crazy love letters. 💕 And the movie became SUPER mainstream, which was kinda cool! I'll be honest, 2018 was a good year for dedicated book to movie adaptations but who knows what 2019 will bring. Listen to the first song off the soundtrack! Watch the trailer, listen to the first song off the soundtrack, and find showtimes near you! 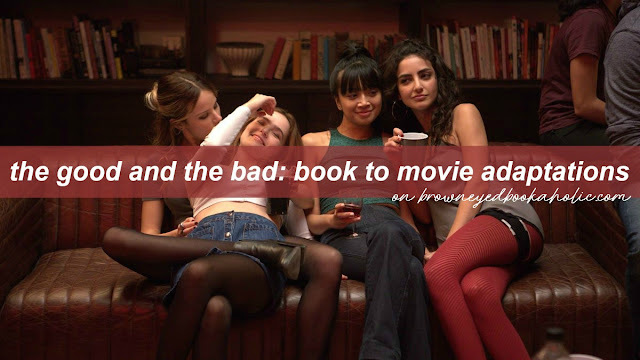 I think when I was younger it was easy to say that "the book is always better" but the older I get, the more appreciation I have for movie adaptions and I even find myself enjoying movies more than the books nowadays! I think there's something really special about seeing something come to life on the screen, and more movies are making changes for the better to their respective books. I totally agree! Film production studios are getting much better with adaptations (thank goodness). THIS POST WAS EVERYTHING I DIDN'T KNOW I NEEDED. 👏👏👏 It's funny how you notice things with movies that you didn't notice when you were younger. I used to only care about the movie being JUST like the book but I've grown to be okay with some changes! My favorite adaptations have to be Love, Simon and To All The Boys I've Loved Before! Even though Simon was a bit different from the book, I still loved it just as much! Peep All The Bright Places. 👀 The next movie I want to see on this list is Ari and Dante! I'm dying to see my boys in real life. HONESTLY 👏👏👏 And I was the same way! Of course Simonnnn he was such a gem in Love, Simon. We gotta see Ari and Dante together in theaters I swear. Thank you Kenzie!! I just read this whole post and ahhhh loved it!! I love book to movie adaptations and I agree with all of this!! oh wow! I didn't realize there were so many adaptations coming out soon! Soundtracks are pretty important for me too, and plus they make wonderful studying music. 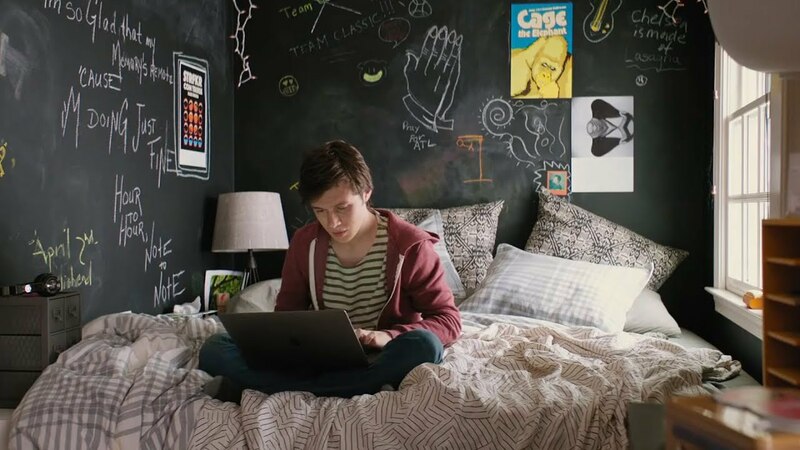 I just adored Troye Sivan's original for Love, Simon!